Admiral Baysuites is the rebirth of Admiral Hotel, which used to be the second home of visiting prominent dignitaries, personalities, and royalty. Today, this European-inspired luxury boutique hotel has a coalesced heritage with ultra-modern infusions. Strategically situated along M. H. del Pilar Street, Corner Aldecoa Street at Roxas Boulevard, Admiral Baysuites is a 53-storey residential condominium, which nestles on a 3,446.20 square meters of premium property. It has 8 levels of parking floors, 2 floors for amenities, 3 lobbies, and 41 residential floors. Admiral Baysuites provides a "white glove" hotel experience, a special kind of attention and service that used to be afforded only by the privileged few. This high-rise residential building is laid out to feature two separate wings. The West Wing offers spacious residential suites of three to five bedrooms in flat or bi-level. Hailed as the perfect next acquisition after a house and lot in Forbes Park, these opulent limited units include the Premiere and Director Suites, which come with their own private pools. The East Wing, on the other hand, offers more practical, one and two-bedroom residential suites. All of the units are laid out to maximize space and are fully furnished with carefully chosen fixtures, equipment, and a balcony that look outs to a spectacular view to Manila's stunning sunset. Aside from the fantastic size, layout, and furnishings of the units, Admiral Baysuites tenants may avail of all the elite amenities and offerings of the hotel, including its remarkable Old Spanish interiors, concierge, security, and housekeeping & laundry services. Other features include Wi-Fi lounges, juice bars, 25-meter lap pools, multi-function rooms, fitness centers, dance studios, a spa, a table tennis room, a gaming and media room, a KTV and a music room. Security-wise, Admiral Baysuites features CCTV cameras, club access cards for its residents, and a 24-hour security system with an advanced fire alarm and sprinkler system. Conceptualized to offer the exclusive services of a club right in the comfort of your condominium suite, Admiral Baysuites provides a wide array of amenities that completes a "white glove" hotel service for your family. Located at Roxas Boulevard, Manila, Admiral Baysuites is an improvement of the Admiral Hotel to a European-inspired luxury boutique hotel with a fifty-three storey residential condominium. The Admiral Baysuites opened its doors to visitors in 2016, and it was the first 5-star boutique hotel in the Philippines and the first hotel in the country to be part of the high-class MGallery Collection. The concept of the design of Admiral Baysuites was drawn from European aesthetics mixed with the splendid allure of old Manila, making a traditional and cosmopolitan residence along the coastline of the picturesque Manila Bay. Admiral Baysuites is a project of Anchor Lands Holdings Inc. which was founded on July 29, 2004 and is a subsidiary of the Anchor Properties Corporation. The real property developer is mainly focused on its goal market of high-income earners and it specializes in the development of upscale condominiums and large-scale industrial developments in Metro Manila. With its popularity based on the high-quality control, construction pace and uncompromised functionality, Anchor Lands Holdings Inc (ALI) constantly meets the demands of its goal market. Some of its flagship projects are the thirty-three storeys Lee Tower in Binondo, Manila, as well as the luxurious seventeen storey Monarch Park suites in ASEANA Park, Paranaque. A superb high-class hotel experience is provided at the Admiral Baysuites. The residents of the condominium and their guests are given a special kind of attention and service which is provided on 2 floors which are purely reserved for amenities. The condominium also has 3 lobbies and 41 residential floors. Apart from the exclusive facilities and amenities of the hotel, which include its nicely preserved Old Spanish interiors, the residents also get a feeling of its distinct concierge, 24/7 security as well as its housekeeping services. Other non-public services that Admiral Baysuites offers include: Wi-Fi lounges, health centres, juice bars, a gaming and media room, and 25-meter lap pools. The condominium also enjoys the fact that it is located in an area that is often visited by lots of tourists. The area is also a hub of cultural and business activities. The units at Admiral Baysuites are 1, 2, 3, 4, 5 bedroom units depending on the wing. This gives the visitors a variety of choices to choose from. The five bedroom units are especially great for families while the single bedroom units are great for a couple with no kids or newlywed. The management of the condominium is done by Momentum Properties Management Corporation, which ensures that everything is in order and that all the visitors get what they pay for. With this kind of management, residents are assured of getting a 100% services for their money. With 53 floors, the constructor provided 7 elevators to ease the movement of residents from floor o floor. Using staircases to climb 53 floors especially for the residents of the top most floors can prove to be a bit tiring thus the need for the elevators. With the 7 elevators, you are assured of always finding a free elevator to use without having to wait for one. Every condominium needs an adequate electricity supply. Admiral Baysuites’ electricity is supplied by Manila Electric Company (MERALCO) which is the Philippines' biggest electrical power distributor. It is Metro Manila's sole distributor of electric power and holds the franchise for power distribution for 22 urban communities and 89 municipalities, including the entire of the National Capital Region and the suburbs that include Mega Manila. 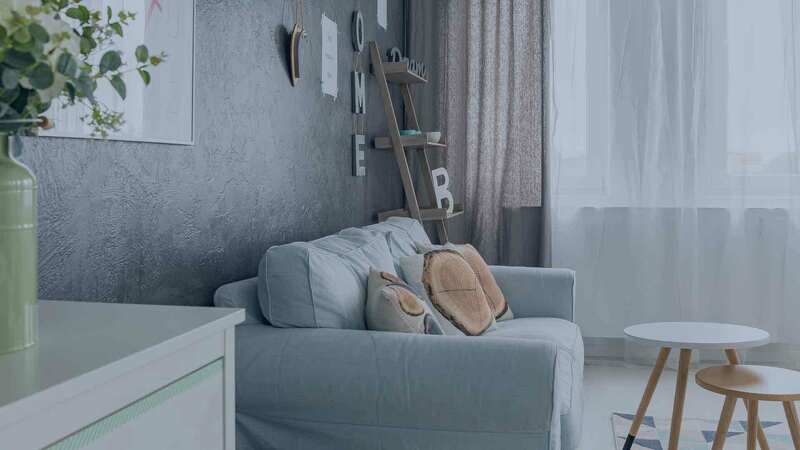 The air circulation in the condominium is done by the split type air conditioners which offer predominant execution, energy-efficiency, and solace in slick arrangements adjusting to every single interior space. The split air conditioning system connects each indoor unit to one outdoor unit. Also, they do not need ductwork while installing. Above all, they offer air conditioning with an affordable price. The residential building of the hotel has two separate wings: the west wing and the east wing. The West Wing has large residential suites of 3-5 bedrooms. The units are so meticulously designed that they are hailed as the best next acquisition after acquiring a house and a lot in Forbes Park. This wing also has Director Suites as well as Premiere suites which have their own private pools. On the other hand, the East Wing has cheaper, 1-2 bed roomed residential suites, which are laid out to give a maximum space. The suites are also fully furnished with carefully chosen fixtures. If you are looking for a place to spend your holiday then the Admiral Baysuites is the best choice. Hire live chat agents for your website. Contact Help Desk 247 now! Anchor Land Holdings Admiral Baysuites in Manila City, Philippines is a premier Condo project available for sale. If you're looking to rent or purchase Admiral Baysuites, then check here first. We have full details of Admiral Baysuites updated regularly as well as everything you need to know about the availing and booking process, broken down into stages that includes selecting a unit, choosing a payment plan and buying your dream home at the right price. For price list, free site tripping or showroom visit, personalized service, model house, unit plans, floor plans, payment terms, CHAT LIVE with an agent 24x7. We are Remax Perfect Homes. Always only buy from PRC licensed Real Estate Brokers and Agents. The Admiral Baysuites, a 41-storey condo for sale in Manila has an Old Spanish Interiors well-preserved from the site’s age old cultural heritage bringing back hundred years of Manila’s history. The Admiral is designed with European architecture in mind that blended Spanish aesthetics with Manila’s old charm with a modern twist. The site’s location near Manila Bay added to its more romantic setting where you can experience the world renown Manila Bay sunset with its unobstructed view the minute you glance from your balcony, while the skyline of Manila and Pasay City will charm you with their magnificence especially at night. With the Admiral Baysuites’ classic with modern squeeze interiors including its adorable residential units that come in dazzling one-bedroom, two-bedroom, and three-bedroom suites, you can have the finest choice among the Royals. The Admiral Baysuites Roxas Blvd. also serves you cautiously like in a hotel-like setting where you are pampered with quality service unlike any other condo developments across the metropolis. This would be the same for your guests if ever you decide to rent out your unit to earn for yourself a great amount of monthly income. You are treated (or your guests) with a special kind of attention as the staff is trained to make every resident acclimatize to the hospitality the management has offering the unit owners. Experience a “white glove” treatment for residents and guests especially when they are on the 2-level amenity areas and with the project’s three lobbies or almost anywhere they may be inside the Admiral Baysuites. This kind of service is never practiced in most residential developments in the area that is why whenever Anchor Land make their project realized, residents are well satisfied (including their guests). Furthermore, residents and guests may avail of the Admiral’s exclusive concierge service and housekeeping and maintenance services, with special arrangements with the management. Living near the Bay is an awesome experience, how much more if you have actual resort facilities right at your own home? The Admiral Baysuites will treat you further with an inspiring and lifestyle-changing amenities and facilities that will surely mesmerize you every day. This enclave by the Bay has a 25-meter lap pool, kiddie pool, function rooms, fitness center, juice bar, pool deck, game room, media room, Wi-Fi lounges, clubhouse, club-in-a-condo amenities and 24/7 security. To make your stay safer than ever, each unit has automatic sprinkler and fire alarm system, automated fire and smoke detection system, highly-secured access card, CCTV surveillance cameras in selected areas, efficient water distribution system, and other well-organized security features. Having your home near Manila’s historical and modern places, you are sure to have a grand time after office hours while promenading with the project’s nearest leisure and entertainment sites. You can do visiting these places with your family which are almost walking distance from the Admiral Baysuites Manila. When you have time in the morning, you can visit the Manila Yacht Club, the National Museum, and the Rizal Park (Luneta Park). While if you are free in the afternoon, you may want to have a glance at the Manila Ocean Park, the San Agustin Church, the walled city of Intramuros, and Plaza Rajah Sulaiman. In the evening, you may find the strips of bars at the PAGCOR City or watch some games at the Rizal Memorial Baseball Stadium, and visit other well-lit nightspots near your home. In other words, investing in the Admiral Baysuites will bring you closer to life’s happiness while you enjoy the privilege of having a risk-free investment that will yield the highest property appreciation through the years.